Winter that dreaded cold and bone chilling weather descends upon this part of North America where I live and I always have cold feet. Having cold feet makes the rest of me feel chilled, but when I put on a pair of slippers and my piggies warm up then the rest of me, myself and I begin to feel warmer too. Allow me to introduce you to some wonderful hand made foot wear made just to keep your feet toasty warm and comfy and which are uniquely different and which in all honesty I do not believe you will find in any of the brick and mortar shops you frequent! Aren't these adorable? It looks like your wearing shoes and your not! These come from the Nothingbutstring shop and look at these, these designed for men, how absolutely different. Are you like me, do you prefer that bare foot feeling instead of a thicker soled slipper? 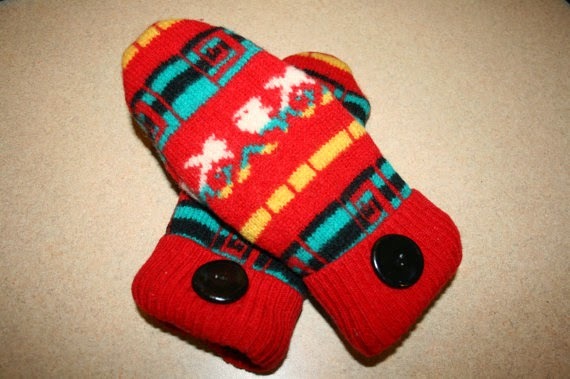 These hand knits will provide warmth and still allow the pleasure of that bare foot on floor feeling. Everyone knows little tykes love to run around in bare feet too and we all know barefoot is best for infants and toddlers for their proper foot development but we also recognize their feet need to be covered in the winter months to keep the rest of their tiny bodies warm and cosy. 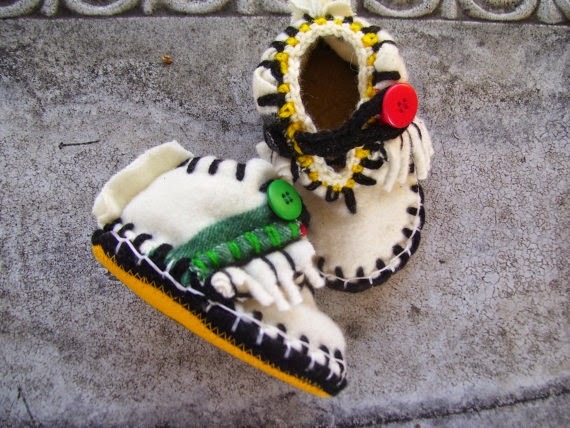 Take a peek at these sweet felted tiny slippers for baby's feet from the Baabaabaxsheep shop! Felt is a very comfortable way to cover your feet. After all, felt is wool just re-purposed differently. 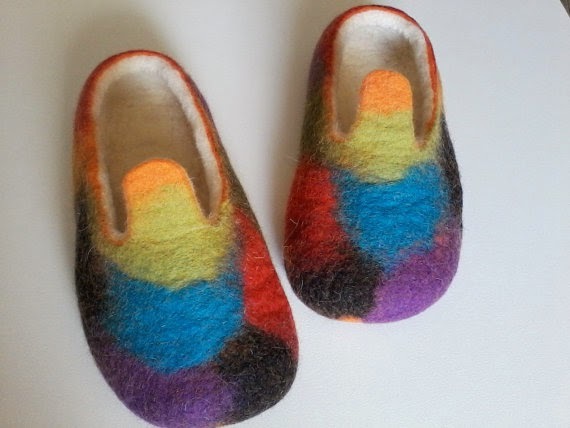 I fell for the style and coloring of these hand made felted slippers, I think it is time I got some for myself. These look so comfy and the colors are bright and cheerful, just the ticket for drab and dreary winter days! These slippers can be bought at the BaLiVi shop. 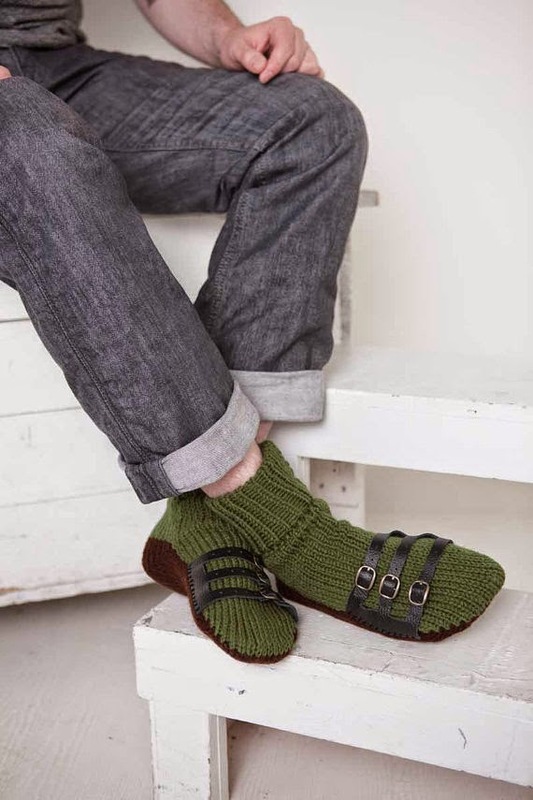 These are to my taste, but there are so many other styles made and sold through this shop I am certain anyone can find something their feet would enjoy wearing from this and the hundreds of hand made shop owners at Etsy. people swear by them and people come from miles around just to buy her mittens because according to them these are the best mittens for retaining warmth while out of doors..her booth at the Christmas Vendors Market is always busy and by the end of her day she is totally sold out. Felting isn't an easy chore and takes time to perfect but items made using felt are truly treasured. So if felting can be bragged on for your hands while outside, then felted for your feet would make sense, wouldn't it? Not just as slippers indoors but as book liners for when your outside! 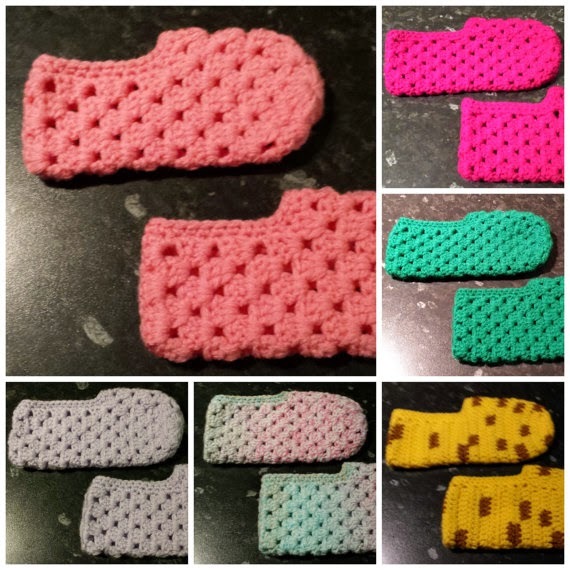 Now at the AimAccessories shop you'll find these wonderful crocheted slip on slippers. One of my aunts dislikes outside shoes being worn inside her well kept home, so she keeps a box of these crocheted slip on slippers in a variety of foot sizes by the front entryway. My aunt will say leave your outsiders there and grab a pair of insiders! There are also those types of comfies made from fabric. Look at these adorable slippers for tiny feet from the Kutsuya shop! Take a look around this shop and you'll see the a variety of the cutest fabric slippers...such as this pair that I happen to have taken a fancy to. 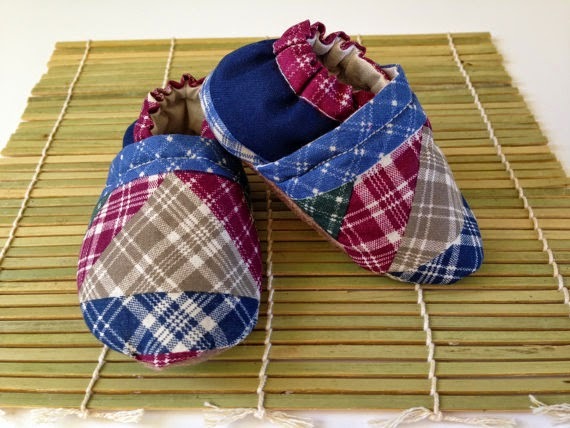 Are these patchwork slippers for little feet just too cute? These are but a sampling of the variety of insiders you can choose from at Etsy. Etsy is the place I shop, it is also where I have my own shops and it is where you will find a ton of Independent shop owners offering everything handmade to vintage with millions of items to make your choices from. By the way, have you had a chance to vote for NewMorningGlass today? This is an Etsy shop in a prestigious competition through Martha Stewart online and they as Etsians can use all of our votes we can give them. So do me a favor, take a moment if you will and give them your vote... just follow this link and you'll be doing a good turn for an Independent Etsy Shop today!